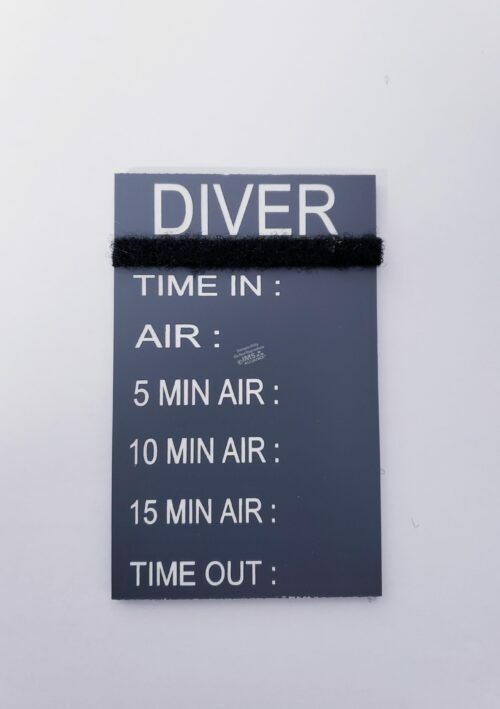 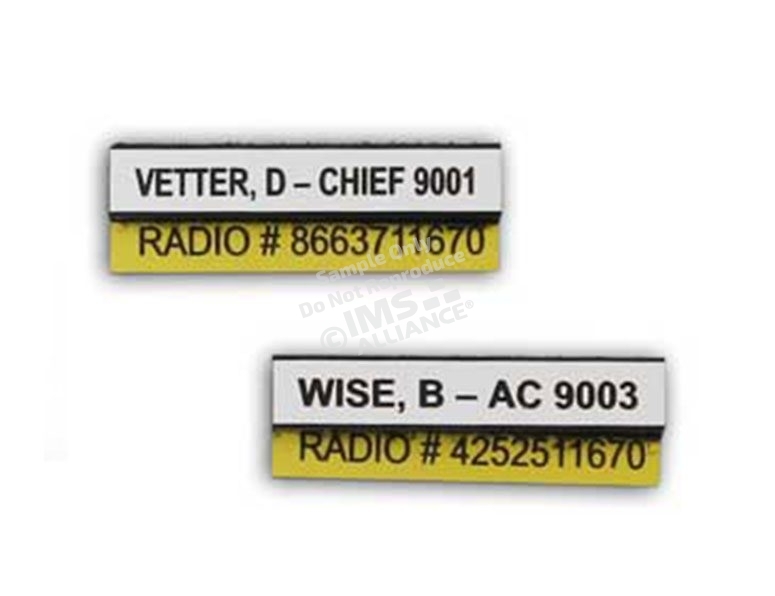 RADIO TAGS are used as an additional layer of accountability. 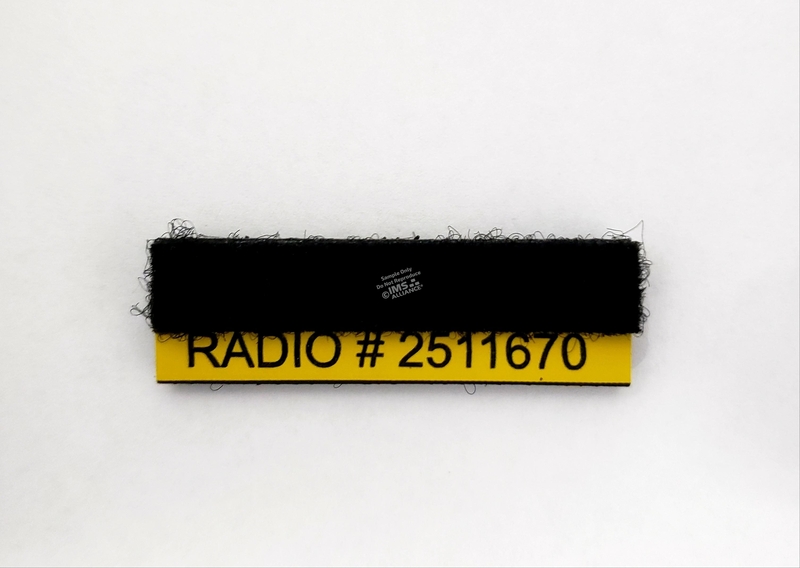 A Velcro® Yellow tag used to identify a portable radio’s electronic serial number (ESN) with its assigned user. 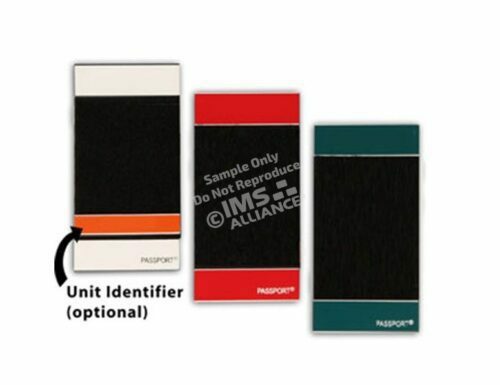 Passport® Name Tags are attached to this Radio Tag and the combined tag is placed onto the Passport® Collector. 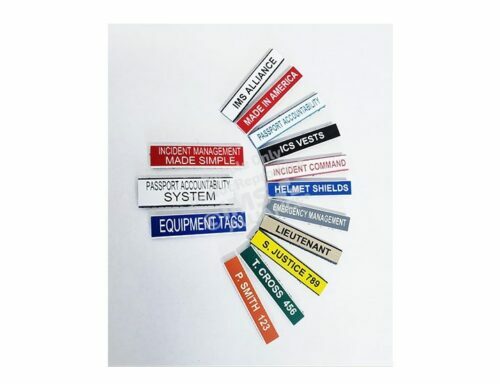 Passport® Collectors and Name Tags are sold separately. Up to 23 characters per tag.